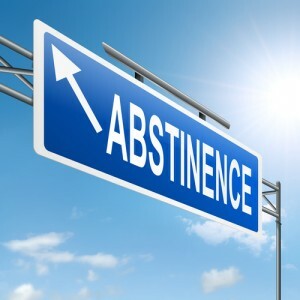 Abstinence is an old world which has been part of our language for hundreds of years. Its roots are in the Latin language, where it meant to abstain. Its meaning has changed little down through the centuries. Now, as it did then, it means to refrain from indulging an appetite; or indulging in some action, or some substance. It is often used in reference to alcohol and drugs, and the act or practice of not using them. Abstinence-based treatment for addiction encompasses the basic concepts of the 12-step meetings of Alcoholics Anonymous (AA), a faith-based treatment program which has been successfully helping alcoholics since the 1930’s. Following the basic premises of AA, the original abstinence-based treatment begun in 1949 in Minnesota added the additional factors of residential treatment, peer interaction, and small group therapy. The abstinence-based treatment model was first known as the Hazelden or Willmar model, due to the fact it was developed at Minnesota-based Hazelen Treatment Center and Willmar State Hospital. Later, in the 1970’s, it become known simply as the Minnesota model. During the 1980’s, abstinence-based drug and alcohol treatment centers came to the fore as the model for addiction treatment. Residential treatment centers providing a twenty-eight day program were in vogue in that era. Abstinence-based treatment focuses on an individualized treatment plan, involvement of the family, and making frequent use of the group meetings such as those common to Alcoholics Anonymous, Narcotics Anonymous, and Al Anon. Studies have found that upwards of 90 percent of U.S. alcohol and drug treatment programs are abstinence-based. Most of these treatment programs use the 12-step model of Alcoholics Anonymous as a core principle. Inherent in the abstinence-based model of addiction treatment and its success is faith in a Higher Power, a spiritual awakening at some personal level, and faith in the power of being a part of the recovery community. Many if not most who experience abstinence-based treatment seek to replace their self-defeating behavior with honesty, gratitude, forgiveness and humility. According to Dr. Christopher Iliades, M.D., most experts agree that despite criticisms of the abstinence-based treatment model, it remains the treatment of choice in the United States for drug and alcohol addiction. He also notes that most experts agree the first goal—and the primary one—of addiction treatment should be abstinence. There is currently a dangerous trend away from abstinence-based treatment, according to a recent online article on Science 2.0. The article details that an abstinence-based recovery model considers addicts sober if they refrain from the use of recreational mind-altering substances. While some minor exceptions may be made for valid short-term painkiller use, it is suggested that addicts live a life which does not include taking substances for non-medical purposes. Nor does an abstinence-based recovery model include taking psychoactive (affecting the mind) substances. The Betty Ford and Hazelden treatment centers, longtime proponents of abstinence-based treatment, recently embraced harm-reduction as a form of treatment. Harm-reduction is medical-based, and uses pharmaceutical drugs like Suboxone, methadone or other drugs in an effort to mitigate the “harm” of substance abuse. Harm-reduction is an attempt, as well, to keep the person using a pharmaceutical drug as a substitute for the user’s drug-of-choice. A smaller and less frequently-used amount of the pharmaceutical, but enough to ward-off getting dope sick, is used. According to the author of the article, pharmaceutical companies stand to make millions from sales of their “harm-reduction” pharmaceutical drugs. The bottom-line on harm-reduction is that is replaces one drug with another drug, and it does not achieve abstinence nor sobriety. The addict is not restored to a life without chemical dependence, nor is the underlying cause he or she turned to drugs addressed and resolved. Living a drug-free life after addiction, free from chemical dependency, is possible. Seek out a treatment program that is abstinence-based, and takes a holistic and life-changing approach to overcoming addiction.